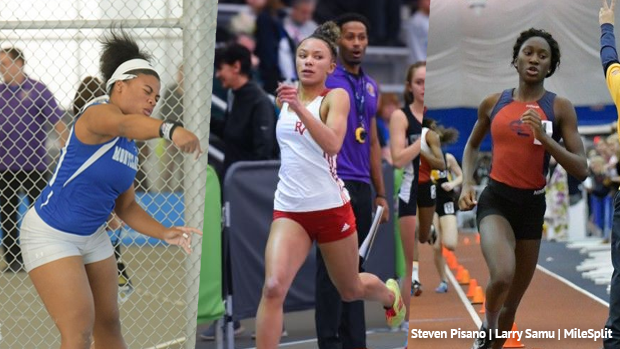 Welcome to the 2018 Girls Meet of Champions preview, in this article we will take a quick look at the top names heading into the final state meet. You can either click 'Next' to roll through each discipline or skip to the ones you want through this menu. Remember you can watch all the qualifying times for this meet on the Group Championships meet page, we were recording all the races. 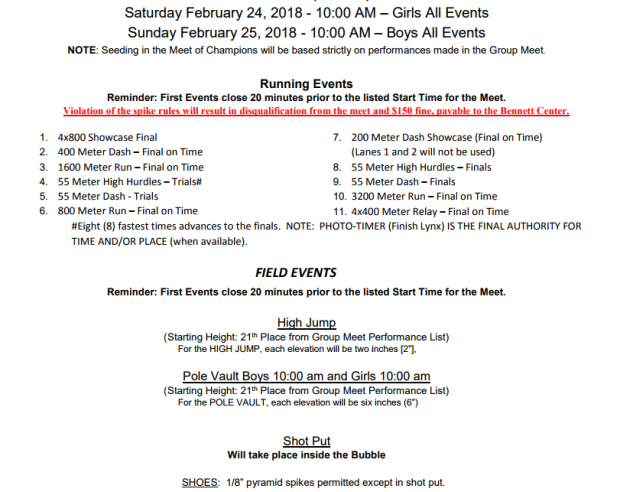 The meet is set to take place Saturday February 24th at 10 am. If you win an event make sure you make it to the media table and talk with MileSplit, we will be interviewing every event winner!